The company is launching a crowd-funding campaign to port its existing platform into a system that will enable seniors to remain in their own homes longer. The United States’ senior population is growing quickly, and so is the need to manage their care. Most seniors want to remain at home rather than spend their final days in a nursing home, which presents the seniors and those who care for them a thorny problem. Software developer People Power thinks it has a solution based on its DIY home-security system. The company thinks that with some minor modifications, its Presence app—which supports a variety of sensors and can convert any Android or iOS device with a camera into a home security camera—can be put to use for in-home elder care. People Power is calling the service Presence Pro Care, and has launched an Indiegogo campaign to support its efforts. In addition to the preexisting features ported from its security service, Presence Pro Care will track medications and monitor a person’s daily activities. The data is then analyzed, and caregivers are notified if the service notices any aberrations in the person’s daily routine. Another key feature of the service is fall detection, something that is a considered one of the biggest dangers of seniors living alone, and is often a reason many are kept from doing so. Currently the service is expected to retail for anywhere from $149 to $699, depending on the features purchased, when it starts shipping in mid-2016. A $15-per-month service charge will also apply. 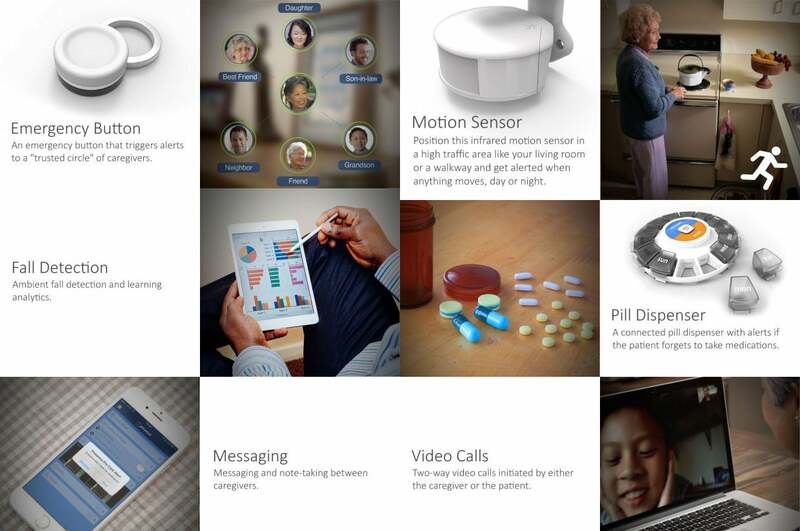 People Power is looking to adapt its DIY home-security package into a system that can be used for in-home elder care. Why this matters: If you’ve ever been a part of elder care and the decision-making process that comes with it, you know why People Power’s planned service makes sense. Often the biggest disputes between family, caregivers, and those being cared for is the ability to stay at home and live independently. There is data that suggests those who stay out of nursing homes live longer, so something like Presence Pro Care would be an option. 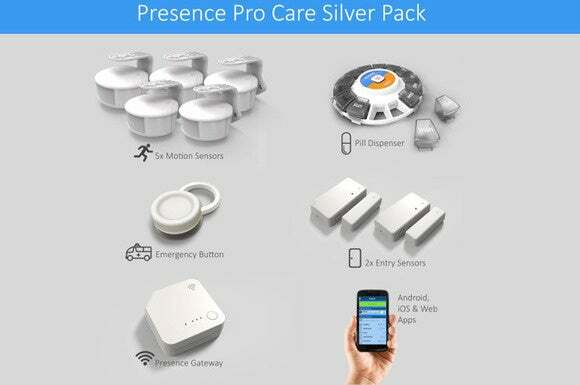 As People Power has described it, Presence Pro Care will deliver some of the same features that existing services like Life Alert do. That includes the alert-button pendant that most people are already familiar with, and a dispatcher who will notify both first responders and a predetermined group of caregivers if the person being monitored needs emergency help. With Presence Pro, People Power promises a more comprehensive and proactive service that includes a pill dispenser for tracking medications, to ensure they're consumed on schedule; detection of movement inside the home that indicates the person is ambulatory; monitoring doors, to notify caregivers when the person exits the home and returns; and security cameras that can provide caregivers visual assurance that nothing is amiss. This sounds superior to reactive services that don't take action until after an incident has occurred. Not being aware of what's happening inside an elderly person's home is the chief reason why many of us—including myself—have had to go against the wishes of those we're caring for. Visiting nurses and in-home caregivers are prohibitively expensive, and often not an option. That said, something like People Power’s planned service could be welcome news for those who would rather not have to make that difficult decision. This story has been updated to add details about People Power's offering.